Poker freeroll tournaments are one of the best ways to practice your poker skills and make money with little investment. If you’re new to poker or have been playing for some time, freeroll tournaments are a great asset to your player development. Freeroll tournaments are becoming increasingly more common among many UK online casinos. This article will explain the meaning of freeroll poker and everything you need to know about playing poker freeroll online. A Freeroll poker tournament is essentially a tournament that players can compete in free of charge, with the chance of winning cash prizes. Some poker freeroll tournaments will require players to have collected a certain number of play points from cash games to enter. Others will allow players to enter using free tickets that are given to players based on their loyalty to the poker room. 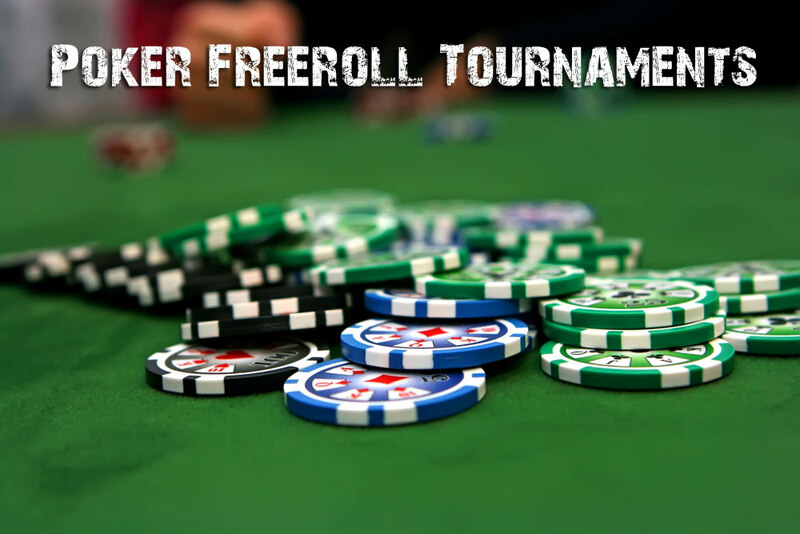 Not all freeroll games require players to have deposited and partaken in cash games previously. Some casinos offer freerolls to new players for promotional purposes. What Are The Benefits Of Playing In Freeroll Tournaments? Playing poker freeroll tournaments is a good way to increase your bankroll with minimal investment. Some tournaments can pay substantially and depending on the specific game, may pay several top players, not just the overall winner. Some UK online casinos will actually pay the top 20 players in certain freeroll tournaments. However, as with all types of poker tournament, the game can last for hours so always find out the value of the winning prize(s) and only play if you can commit to a potentially lengthy game. As freeroll poker games don’t require you to wager any of your bankroll, they can be a welcoming way to practice your poker skills against real opponents that are all competing for a monetary prize. Unlike free poker games that allow you to play with play chips, in freeroll, players are actually playing with the hope of winning a prize. Free-play poker games are unlikely to enhance your poker skills, as players rarely use any strategy in these games and play with no real tactics due to the lack of consequence/prize. Freeroll allows you to play in a more realistic poker environment, and therefore develop your poker skills that you can apply to games that require you to wager your own money. Many excellent poker players rely on freeroll as a way to develop their skills, and for good reason. Although players sometimes play more aggressively in freeroll tournaments, overall they are more similar to cash tournaments than free games with play chips. Each casino will have different rules when it comes to qualifying for loyalty freerolls. Eligibility is usually based on the time you have spent at cash tables, or the amount of real money you have played through. Most online poker rooms will tell you what is required to get tickets to freeroll tournaments on their ‘promotions’ page. Some casinos or poker rooms will base qualification on the number of points a player accumulates, again these points are usually awarded for either the length of time spent at tables or the amount of money wagered. All poker providers have different requirements, so it’s a good idea to familiarise yourself with these when joining a new site. Although each casino can differ, generally freeroll games will have their own section in a poker lobby. If there is no freeroll section, then try sorting the games by buy-in value, freerolls will usually come under ‘£0.00’. Some freeroll games require players to cash in a ticket as a form of buy-in. Usually, the freeroll tickets that a player has will be under a specific ‘tickets’ or ‘promotions’ section in the poker lobby, from there, a player is usually then able to follow links that will take them to participating tables. Don’t Play When You’re Busy Or Tired – Tournaments can last for many hours, sometimes into the early hours of the morning, if you are tired or have commitments, then it’s not a good idea to sign up to these. Always look at the start time of the tournament and consider whether you are likely to be able to last the entire game. Look For High Payers – There are many freeroll tournaments out there that have life changing top prizes, however, if you’re not on the ball you might miss them. It’s a good idea to sign up for email notifications from the specific poker site to ensure you are kept informed of all freeroll tournaments that will be taking place. Find Tournaments That Pay Several Top Players – To increase your chances of winning, look for tournaments that pay more than one top player, some games will award a prize to the top player, others will award a prize to the top 3 players, and some even the top 20. Always read the information provided about how many players will receive a prize at the end of the tournament. Previous Previous post: What can you expect in an online casino?